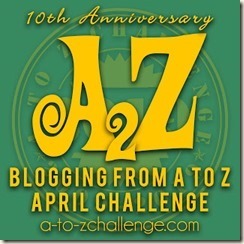 7 Ways to Get Food Inspiration #AtoZChallenge - A Rose Is A Rose Is A Rose! There are days when you just don’t know what to cook, this is my perennial problem though. There are times when cooking a simple meal is a task and the take-out menus look more appealing. Or you keep cooking the same old dishes and have a cooking rut. These are all signs of loss of cooking inspiration. What do you do when you lose your cooking mojo? 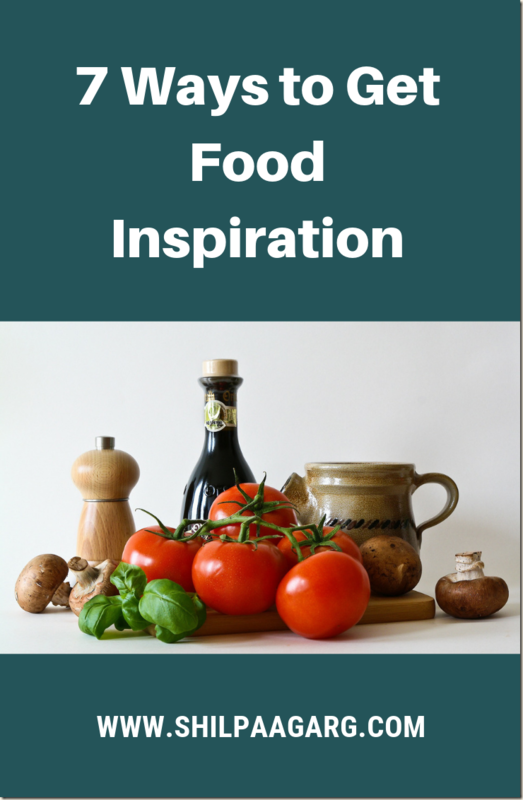 Here are a few ways to regain your food inspiration. KG cooks up a storm and when he is done cooking, it’s as if a hurricane has hit our kitchen. But when he starts cooking, he needs a clean and well organized kitchen. Since I have OCD for cleanliness and orderliness, we make a great team in the kitchen! Dirty dishes or the general clutter can be irritating and can put your mood off. So take time to organize your kitchen shelves, cabinets, utensils, refrigerator etc. to have a positive and happy frame of mind to have fun in the kitchen with food. They say that a well-stocked pantry and fridge is like money in the bank. If you have the basic ingredients on hand, putting together a meal is easier. Of course, you need to figure out what ingredients are essential for you. For example, various types of sauces, cheese, spices, dried herbs, eggs, dairy products, snacks along with grains and fresh vegetables are a must in our kitchen. This is our go-to place to find cooking inspiration. Flipping through recipes and looking at the amazing pictures does the trick. I don’t know why we buy the Mega Pack of Tata Sky when all my boys watch are cookery programs. Seeing the various chefs and food experts cook, can do wonders to your inspiration. KG loves watching the various techniques of cooking or finding newer ways of using an ingredient so that he can practice the same later. The egg yolk in a kheer was inspired by Rachel Allen : Bake! These days our markets are flooded with so many national and international food varieties that we are spoilt for choice. Also the fresh produce with various colours, shapes, flavours and smells at the local farmer’s market truly tempt you to find ways to use them in your meal. Pick up an ingredient you love but haven’t cooked in a while. The newer fusion restaurants certainly can be very inspiring. The other day, I had Four Cheese and Garlic Pizza at Farzi Cafe and it was absolutely yum and had such an unique taste and flavor that I will certainly try it at home. Looking at the restaurant menu or a dish that you tried there can certainly inspire you to give your own spin to it. Rummage through your pantry and fridge and make use of the available ingredients to make a meal. Or use left-overs innovatively. Or challenge yourself to find a new recipe from a different cuisine and give your twist with the available ingredients. Got any more tips for getting out of a cooking rut? What inspires you to cook? Please share your comments below. 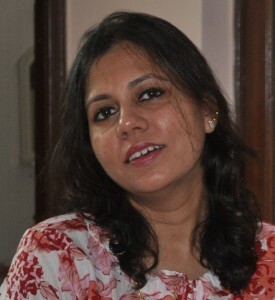 I have seen for me cooking shows and videos are a big inspiration to cook food which otherwise I am not really fond of. Clean kitchen and stocked pantry are certainly enthusing. If one has to clean first and search half hour for the sugar container, half the zeal of cooking is already gone. Nope. None of these work with me. I simply don’t like cooking. Period. It’s only once in a blue moon that I’m actually inspired to cook something, from the inside, you know. Like there is this inner calling… when I can imagine what the final output would be like, smell its aroma, feel its taste in my mind, even before I’ve started making it. Ahhh, but these moments are rare! Cooking shows are the best inspiration ever! I like 6! It’s amazing what things you can up with from bits and pieces. Mind you, I’ve had the odd culinary disaster or two! Oh yes, a clean organized kitchen is definitely inspiring! Years ago, my husband and I used to watch a particular cooking show on Saturday mornings. We could never manage to finish it though, because somewhere in the middle of the show, he would run off to the kitchen and start throwing things together because he was so inspired. Even now, our kids all watch cooking shows as entertainment. As a result, they’re not afraid to experiment in the kitchen. I need you in my kitchen for organization and declutter for sure. My daughter LOVES to watch cooking shows. She’s also been an inspiration to me in the kitchen because she loves to cook while I don’t. I can cook and I do, but loving it, not so much. My whole family besides me loves to cook. I guess I missed the gene. But I like your ideas for putting my mind to it. Thanks so much! This is exactly how I get my inspiration to cook – clean kitchen, supermarkets, stocked up pantry, cookbooks, food shows! Ah! You’ve got it all covered. Nice ways to get good inspiration. Very nice ways to inspire the food blogger. These are great ideas, Shilpa. I’m always getting ideas off the internet, since I don’t watch television. Another source of inspiration is eating out – I’m always trying to guess ingredients. Cookery shows give big-time cooking goals. Another one is the constant demands of your kid.